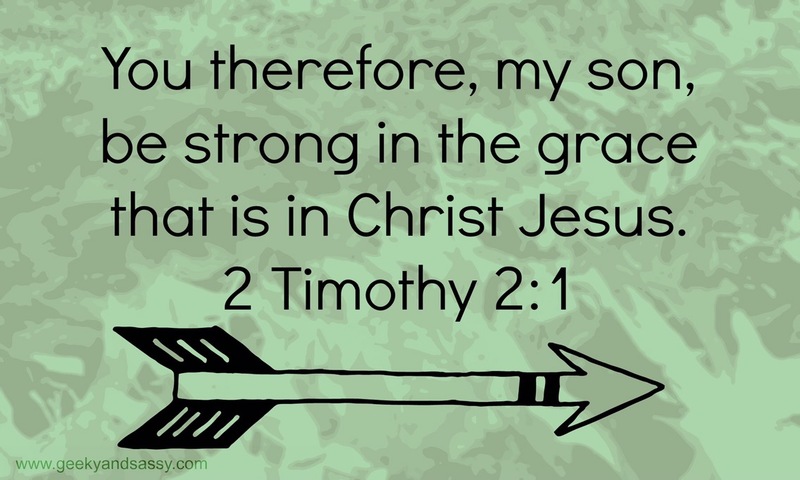 Qhat does it mean be strong in grace? It means that you understand and admit that your flesh is weak and recognizing that it was, is and will always be weak. It is flesh. It will always fail. Jesus does not ask you to make your flesh stronger. He asks you to make your dependence on Him stronger. What are you depending on Jesus for today?